Bourbon balls have somewhat of a cult following. How could they not with their sharp burst of bourbon flavor and chocolatey chew? They’re like gourmet chocolate truffles with a kick. While National Bourbon Day was June 14, we thought we’d get a bit more meta by celebrating the best bourbon ball recipes known to man. Cool, huh? If you love making bourbon balls at home, give some of these seven recipes a try. Want to impress new neighbors, co-workers, and your family? Then you have to make these beautiful and yummy chocolate covered bourbon balls. We love this tutorial because it shows you how to give one batch of bourbon balls four unique looks. After you’re done rolling each bourbon ball, it’s time to make the magic happen. Set out individual bowls of cocoa powder, pulverized pistachios, confectioner’s sugar, and melted chocolate. Divide your bourbon balls up equally and dip each one in one of the four toppings. Then, let them set completely and serve immediately! You can also freeze bourbon balls for up to four months and let them thaw at room temperature before enjoying. True bourbon and whiskey lovers have their allegiance to certain brands. If the red wax dipped bottles of Maker’s Mark are all you bring home, try this Maker’s Mark bourbon ball recipe. Follow this recipe exactly or give it a twist of your own by making each bourbon ball half the size. Then, put two on a toothpick and use them as garnishes (much like you would olives) in old fashioned cocktails and other bourbon-based drinks. A bourbon ball on its own is incredible, but when enjoyed alongside a cocktail it’s even better. Most bourbon ball recipes start with the same ingredients: bourbon, vanilla wafers, pecans, cocoa, and sugar. What sets them apart is usually the ratio of the ingredients and what’s on the outside. These whiskey balls made our top seven list for the best bourbon ball recipes because of their whimsical look and astonishing flavor. Served in a crystal bowl like the baker did here, they look divine. When used as garnishes alongside the rim of a cake, these whiskey balls are also beautiful. Try both and see for yourself! And they’re off! 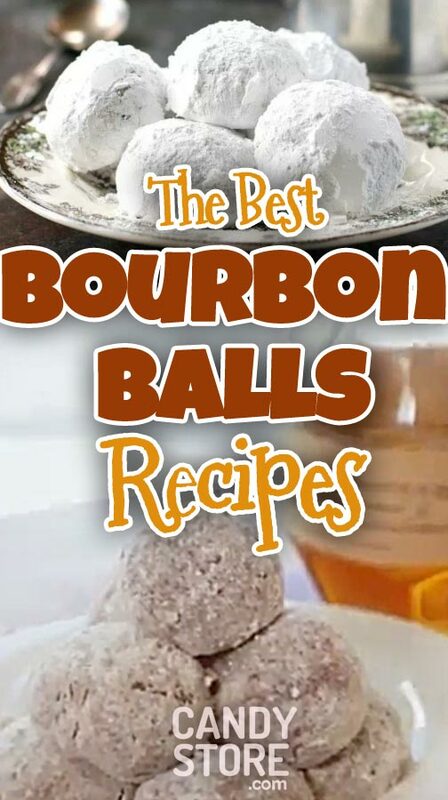 The list of the best bourbon ball recipes that is. The Kentucky Derby may have crossed the finish line for the year, but it’s still horse racing season. Get ready for every big race with this Kentucky Derby bourbon balls recipe. You don’t have to don a big fancy hat or a bow tie in order to eat these decadent bourbon balls, but it does make you look mighty dapper. This recipe is a great excuse to throw a derby-themed party this summer and include some bourbon balls on the dessert table. Bourbon balls take an entirely new form with this bourbon ball martini recipe. This clever mixologist captures all of the vanilla, chocolate, and bourbon flavor of this famous dessert and channels it into an incredible new cocktail. People who love bourbon balls will go nuts over this martini. It’s strong yet subtle, so choose your favorite bottle of bourbon (preferably a high quality brand) and start mixing. Woodford Reserve bourbon balls are some of the most famous. We thought we’d include a whole new cake—we mean take—on that recipe. 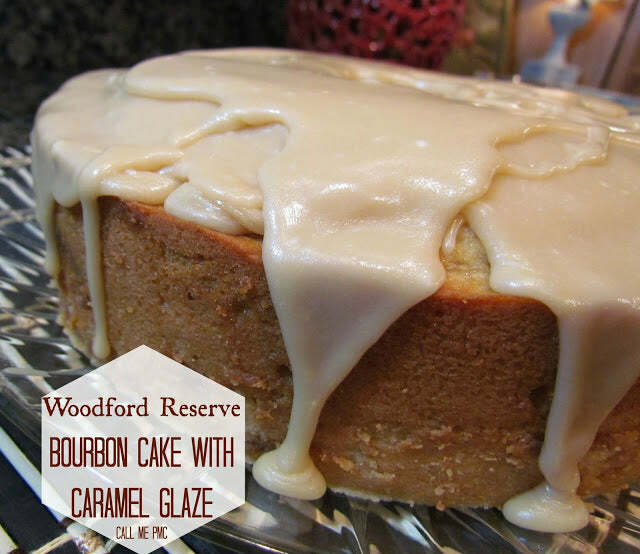 If regular bourbon balls are too strong for you, then you have to try this Woodford Reserve bourbon ball cake with caramel glaze. It’s the glaze that really takes the harsh bourbon bite down a notch and compliments the flavor. Plus, unlike bourbon balls, this cake recipe is baked so a lot of the alcohol burns off during the process. Last but not least, we think you’ll adore this powdered sugar bourbon balls recipe. 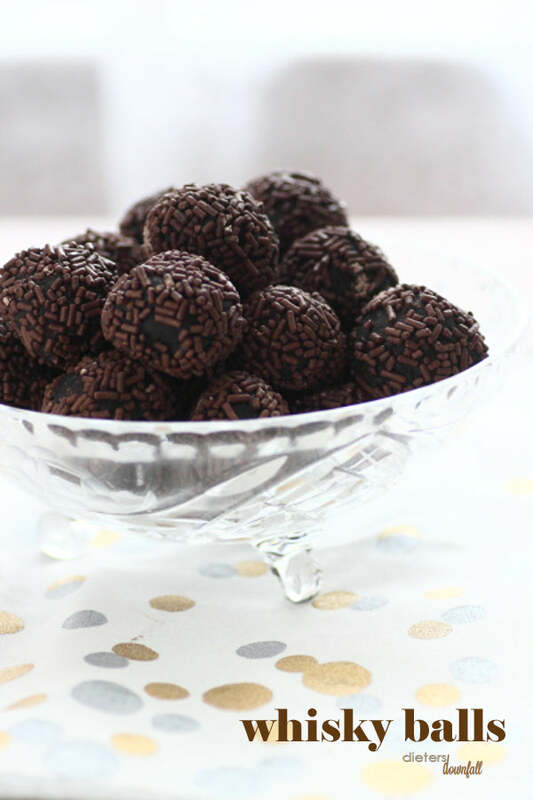 It’s simple, easy to make, and has all the flavor bourbon ball fanatics love to gobble up. We’re not sure whose grandma made up this recipe, but she sure knows how to cook and party! Do you have a favorite bourbon ball recipe? We’d love to hear about it in the comments section below! Feel free to post photos of your bourbon ball creations there too. It’s always great to hear from the Candystore.com community and rally around our love of sweets.